Minh Minh’s mission is simple: to serve authentic Vietnamese fare that won’t break the bank in a relaxed setting. The menu is authentic, affordable and takes you on a trip around Vietnam, all the way from up north to down south (from rice paper rolls to vermicelli noodle bowls, or pho). To start we loved the traditional Bo la lot featuring grilled minced beef in betel leaves, slathered in beautiful nuoc cham sauce. For mains, the dish of “Insane Fish” was as its name suggested – insanely delicious. We loved the perfectly crispy barramundi fillet which had been topped with onion, garlic, salt, lime and pepper which was swimming in a sea of sweet and sour broth. The Lucky Lucky Duck was similarly delicious. 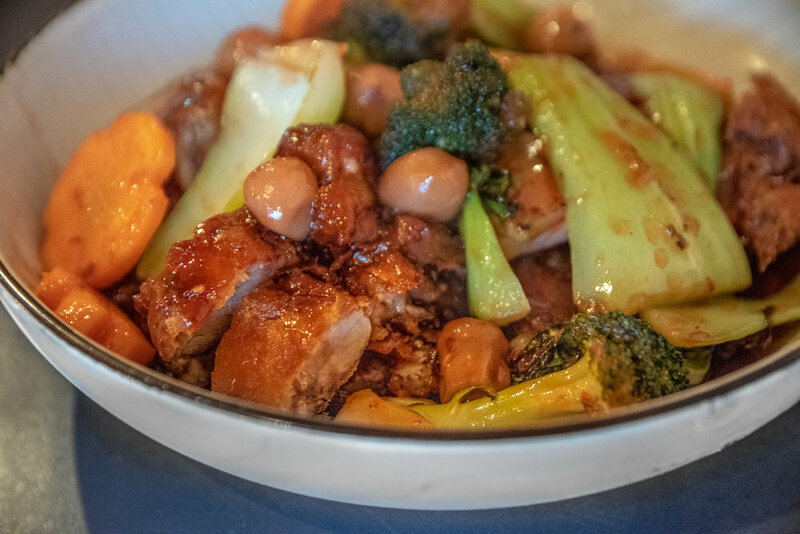 Addictive morsels of duck were beer battered and fried to boast a stunning crispy exterior before being stir fried with seasonal vegetables and a house made hoisin sauce. With a free corkage BYO policy, a bunch of all-time favourites on the menu, coupled with speedy and friendly service Minh Minh is a winner.